If an audience is to enjoy a movie or performance, they normally must suspend critical judgment to do so. 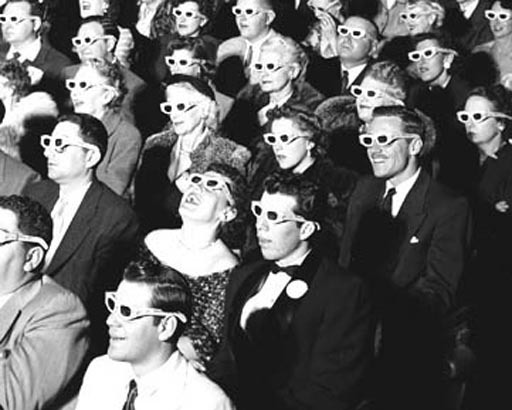 For example, these folks are watching a movie, which itself is nothing but a series of still images with sound, and these cheap 3-d glasses don't help much; yet, you see emotions. In addition to a desire to be fooled to be entertained, the brain is also trying very hard to make sense of the world around it. It's easier for the brain to interpret what it is seeing as lifelike rather than seeing it for what it is-- a series of projected still frames for film or a scanning beam of electrons lighting up fluorescent dots on the television. Below is the audience for the Rocky Horror Motion Picture Show. As you can see, there's a strong desire to "believe" in the fantasy of the movie. Suspension of Disbelief: This is a term used by film critics to describe what film goers must do to stay engaged in the plot of the movie. Besides ignoring the technology that is making the action on the screen, we also must "suspend our disbelief" and believe in the story and characters. For example, when watching Pirates of the Caribbean, we must believe Johnny Depp is a pirate. 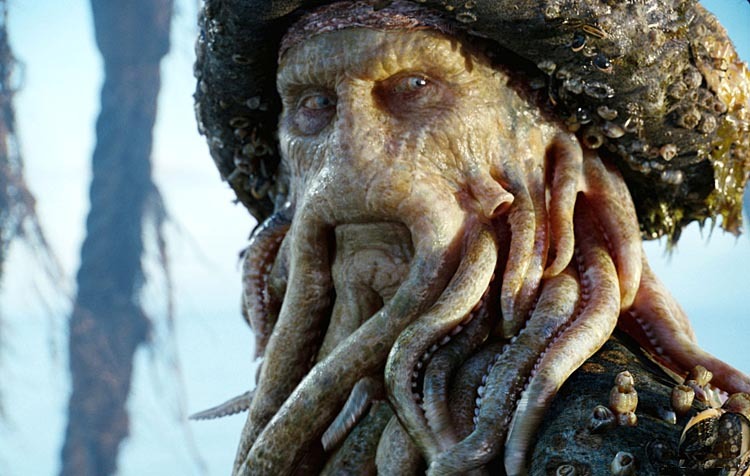 We also must believe that Davey Jones (below) is real, at least real enough to scare us. 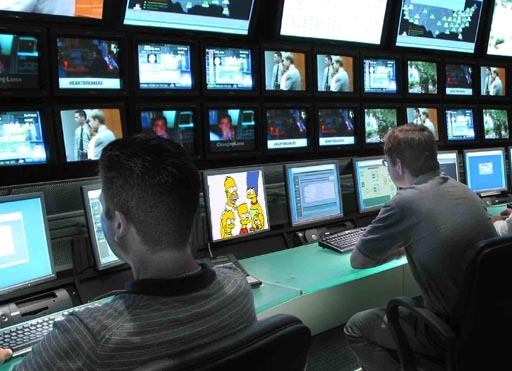 Every day we condition ourselves to suspend critical thinking in order to enjoy what we see on television. For example, we can't watch The Simpsons and be thinking it's just an electronic signal from a satellite dish. We also can't think about the artists drawing the characters. We have to believe that these characters are real to enjoy the story. When watching music videos, I'm always disappointed that most singers are allowed to lip sync to the music. Most viewers, however, accept this as singing. This lack of critical observation lets imposters get by. These images are of the group Milli Vanilli, which won a Grammy award but had it revoked when it was discovered that the voices at their concerts and on their records were other singers. Problem #2: Brains are fooled by experience. What does the back of the Queen of Clubs look like? What does the covered portion of the Queen of Clubs look like? What might the back sides of the other cards look like? Your familiarity with cards will cause you to be fooled. 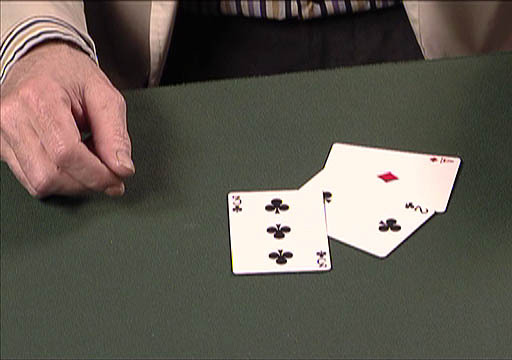 Card tricks are often done with altered cards, called gaffed cards. For example, the back of this Queen of Clubs could be a Jack of Diamonds. 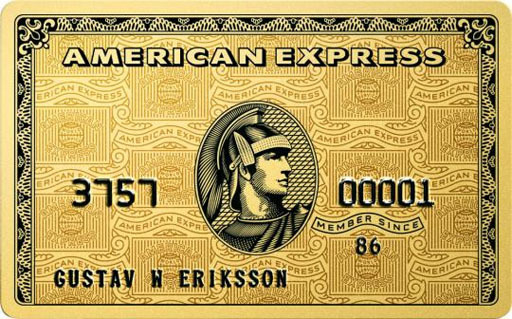 The other side of the right card may be identical to the side you see. In other words, experience gives you a preconceived idea of what playing cards are suppose to look like and that will cause you to be fooled. 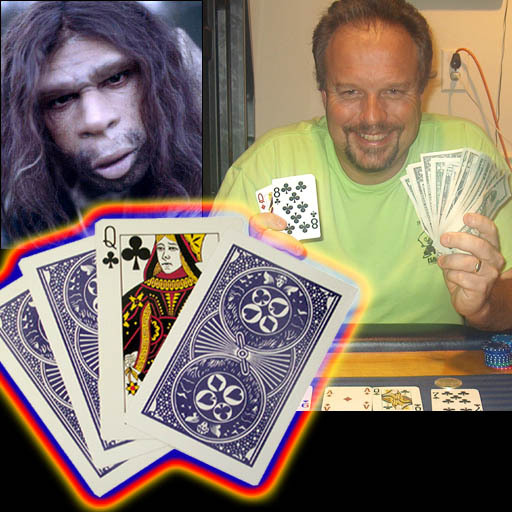 The caveman, therefore, may be able to spot the trick much easier. The card shark here wants to bet that you can't figure out where the ace is when he turns over the cards. The game is called the Million Dollar Monte. What are the three cards that you see on the table? If you said, 3 of clubs, 2 of clubs, and ace of diamond, then you are using your experience with cards to identify these cards; however, you would be wrong. In the next chapter, "Step Behind the Scenes", I will reveal the secret to this trick. A rotating mask shows that the brain will force itself to see what it normally sees, which is a face from the outside, not from the back even though we know we are looking at the back side. Below shows the sequence. You will notice the right mask feels like it is facing outward despite knowing that it is facing inward. To see the animated rotation of Einstein's face visit this Youtube video. Also notice that when in reverse, it appears to start rotating in the opposite direction. : http://www.youtube.com/watch?v=ORoTCBrCKIQ. 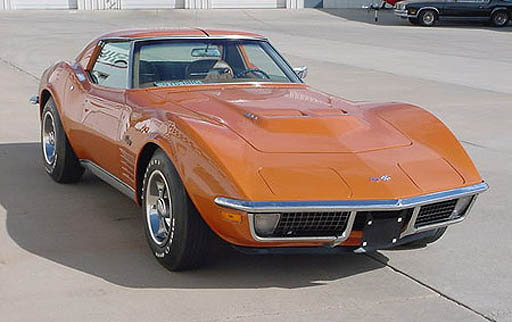 Chemistry Example: This looks like the Corvette I had in the 70's (You can tell I wasn't into conservation then). Like all cars at that time, chrome bumpers and chrome trim were made from chrome plated steel. To polish the chrome I always used a chrome polish, which was a very fine abrasive. In the 90's I owned an 86 Jaguar (roll mouse over Corvette to see it). The chrome trim around the windshield on the Jaguar was dull, so I used some chrome polish. To my dismay, the "chrome" came off with just a few rubs revealing not steel but plastic. My experience with older cars fooled me into thinking that shiny trim was chrome plated steel, when it was actually just spray painted plastic. The automobile makers fooled people like me who were accustomed to chrome. This is an image from Michael Bach's website. It shows the after image from our eyes. The pink dots are disappearing one by one, but if you stare at the cross in the middle, you will think you see a revolving green dot and the pink dots disappear. In other words, what is there you don't see, and what is not there you do see! Our brain works hard to decipher the world around us even when the lighting is not uniform. 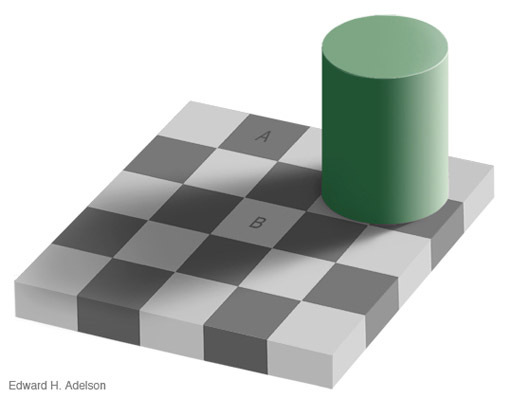 For example, we see that the green cylinder is blocking light causing the tiles in the shadow to be darker. Our brain is not fooled by this, we still think that the tile floor is just made of two colors of tile- an off-white tile and a medium gray tile. This type of brain power is helpful but can be fooled. Which of the two tiles are darker, tile "A" or tile "B"? Roll mouse over the picture to see A and B only. That will answer the question. Because we have two eyes, we are always seeing double, but the brain suppresses one of the images while giving us the illusion of depth. If you were to hold your two hands in front of you (like in the picture) but focus on the computer screen in the background, you will see a floating "sausage" because the brain can't decide which eye's image to suppress. To impress your audience, citizen. 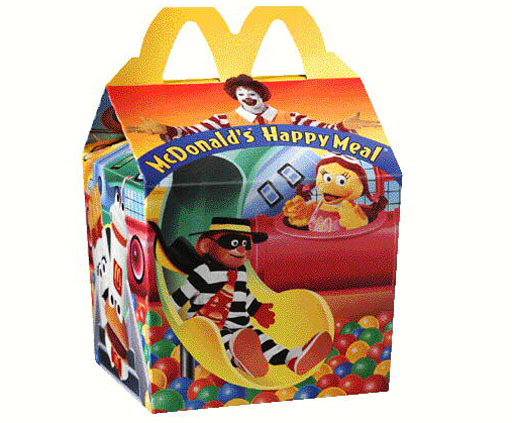 or consumer, show them the good but hide the bad. What is hidden does not get evaluated. 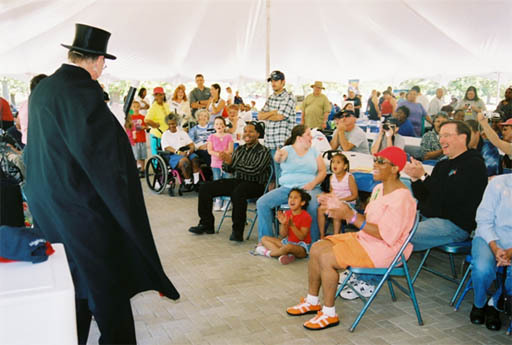 Hide in Clothes: There's a reason that magicians wear hats, capes, and long sleeves. Most of their tricks depend on hiding something from the audience. For example, their clothes hide the items that disappear or the items that they make appear. We perceive magic because the secret of the trick is hidden from our view. Hide in River: Manufacturers are presenting us with all kinds of neat products, but our enthusiasm for a product would be diminished if we knew the maker of that product was polluting our rivers and drinking water. 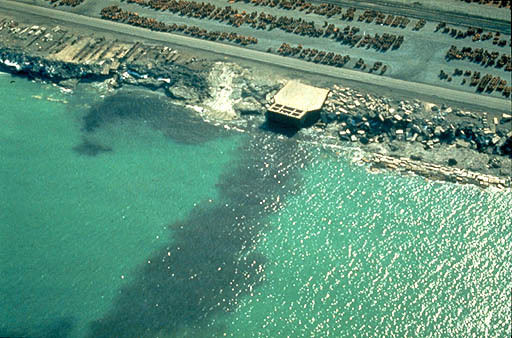 Rivers are a favorite hiding place for industrial waste because it usually hides it and sends it down river. EPA (Environmental Protection Agency) uses aerial photography to detect pollution because at the ground level it may not be visible. Unfortunately, many polluters release pollutants at night. Hide in Ground: Polluters also love to use the ground to hide pollutants. After it is buried, it is hard for us to see the pollutants leach into the ground and into ground water. Flush it Down the Drain: Another favorite hiding place for everyone is to flush what we don't down the drain. A sewer is better than a river because not only does it flush the waste away from the source, it's also out of site. The Guide Corp., a plant for automotive plating, agreed to a $14 million settlement for a toxic substance they poured into the sewer system. This substance killed the bacteria in the city's water treatment plant. "Good" bacteria kills off pathogenic (disease causing) bacteria plus good bacteria break down waste. The treatment plant then releases treated sewage back into the river. However, the treatment plant (below) didn't test the treated sewage and let toxic water flow into the river. 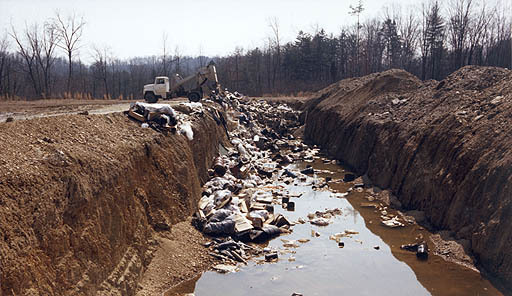 4.6 million fish (187 tons) were killed in the White River that runs through Indiana. There's a TV show hosted by magicians Penn & Teller called B.S. It is an exposé on various subjects. They talked about the power of suggestion as being a big factor why people can be fooled. In this episode they had someone dressed up with lab coat and tie and look like a doctor or chemist. Click the play button to move through the pictures to see how people were fooled by magnets and snails. By the way, even if the magnets were real, there would be no affect. The people also talked about how much they would pay for some of these bogus therapies (around $30). Even though these are examples of individuals, whole groups (audience) can also be fooled by the power of suggestion. The Placebo Effect: Many interesting studies reveal the human's ability to feel better just because they believe that they should feel better. 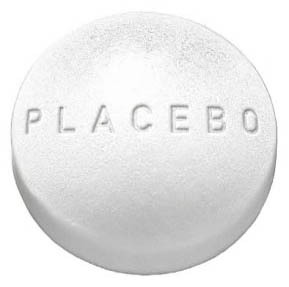 A placebo is normally thought of as a "sugar pill", but placebos can be any kind of treatment that, in itself, has no therapeutic value; however, if the person or audience believes it should work, many will show improvement. This relates closely to the power of suggestion that is given when they receive the fake "treatment." Problem #6: The Bad of Being Good. 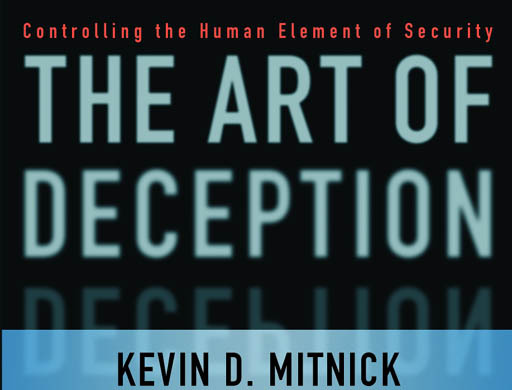 Kevin Mitnick is an infamous computer hacker (served time in prison for computer hacking). You would think his computer skills gives him the most ammunition when breaking into a company's computer system. In his book he points out that it is much easier to take advantage of human goodwill. People want to trust those who appear courteous, helpful, or honest. People also want to help those in need. Unfortunately, con artists exploit these good qualities in people. Can You Help Me? 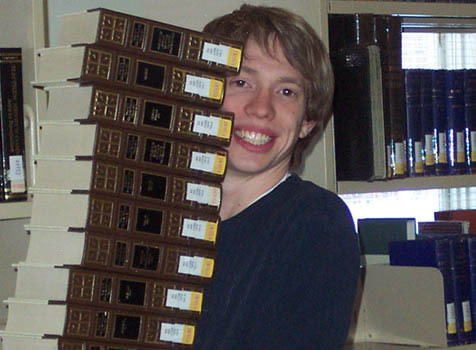 : For example, here's a cheerful lad who is burdened with books. He's standing at the entrance where people are using their ID badges to open the door. He asks, "I can't reach my badge right now, could you open the door for me?" What would you do? Most people will say, "Sure." Our natural instinct is to be helpful and trusting and open the door . We don't know if this lad is good or bad; we just want to believe he is good. Techniques like this one was revealed by the Kevin Mitnick as ways to breach security areas, but it could be used for anything. I grew up in Phoenix, Arizona and understood western lifestyles. 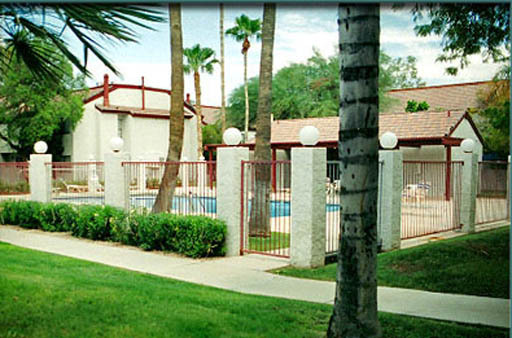 In the 80's I heard a lot about people moving to McCormick Ranch in the town of Scottsdale, just east of Phoenix. Scottsdale had a cowboy history so I thought it was nice that some people got to live on a ranch. I envisioned several ranchettes (small ranches) that families own. If you've ever seen a western movie, you know what a ranch is. I finally got to visit McCormick Ranch and was quite shocked to what they called ranch living (roll cursor over image to see what they call a "ranch"). 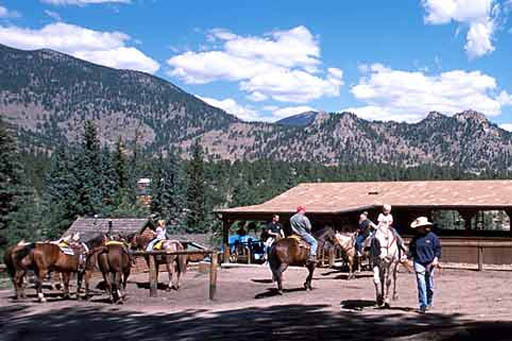 In the valley there are hundreds of housing developments that call themselves ranches. Sometimes the land where the houses were placed had been a ranch. For example, McCormick Ranch above had been a real ranch. However, just because the land had been a ranch doesn't mean the place can still be called a ranch. We also have housing developments named after farms because there once was a farm there. Both of these add insult to injury because they not only wiped out a ranch or farm, they also stole their name. It's like having Disneyland being replaced by a housing development that then calls itself Disneyland Estates. The problem is that sellers want to romanticize or embellish everything. They use words, images, and music, but lets focus on the words. Upon hearing positive words, our brain usually can't help but bring forth some positive responses. Unfortunately, that can cloud our judgment. How many things are described as gold that are not gold? A lot. We all like gold, so we accept the use of the word even when it's a stretch of the meaning. Euphemisms and doublespeak: Correct words will often communicate too well, so other, more vague words are used to soften the meaning. Examples are: Neutralize the target (sounds like giant Alka-Seltzer tablets to me), but means kill the enemy. 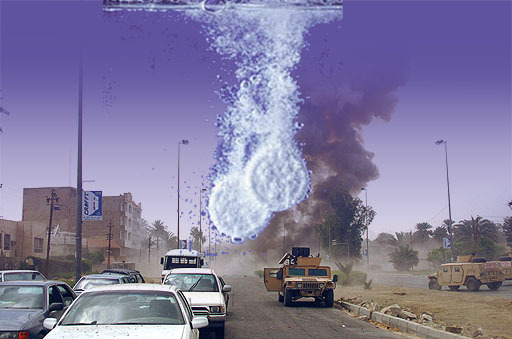 Collateral damage means destruction and death to innocent bystanders. Pacification means to kill or disarm insurgents to obtain peace. Downsizing & rightsizing mean layoffs . 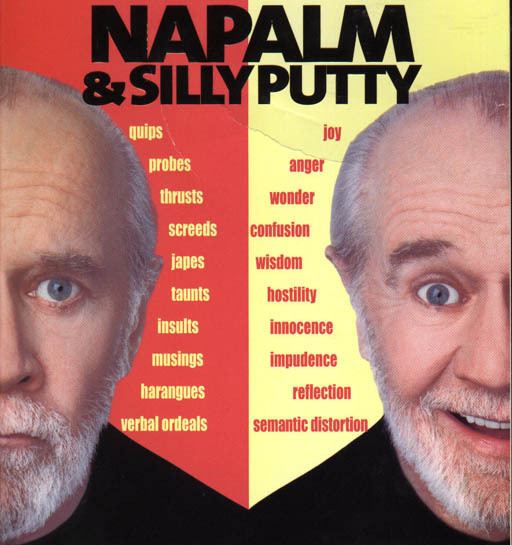 Keeping on the topic of military doublespeak, comedian George Carlin had a famous skit where he talked about how the description of mental problems suffered by returning soldiers has changed. In World War I, it was called Shell Shock (you can envision falling shells and the shock of experiencing that). In World War II, it was called battle fatigue (soldiers were simply tired of doing battle). In the Korean War it was called Operational Exhaustion (no battle just an operation). In the Vietnam War it was called Post-Traumatic Stress Disorder (it's simply stress). Now it's mostly referred to as PTSD. The letters hardly convey anything. Things like this probably inspired others to write a book on doublespeak. 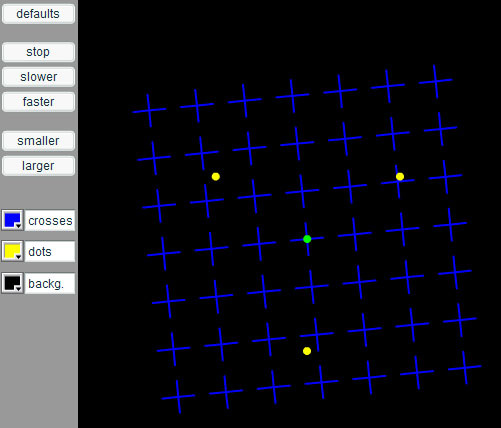 (Roll cursor over image). 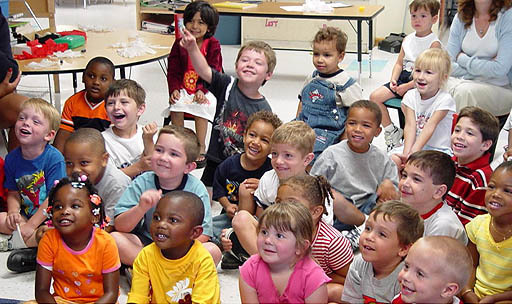 These kids are enjoying a magic show. The fun is believing in the magic. That's great for entertainment purposes, but when more important matters are at stake (like the environment, what we buy, and laws), we must broaden our attention beyond the frills and thrills. In other words, as an audience we must grow up. Besides, knowing what goes on behind the magic can be fun too.